We drive 15km northeast of Trichy to the Grand Anicut or Kallanai to see one of the oldest dams in the world still in use. Built by Chola King Karikala in 2nd century AD, the 1,080 ft long, 60 ft wide dam and its ancient network of canals irrigates an astounding one million acres (4,000 sq km) in the fertile delta. The design served as a template for British engineers to build another bridge over the Coleroon one and a half millennia later, proof of its timeless ingenuity. 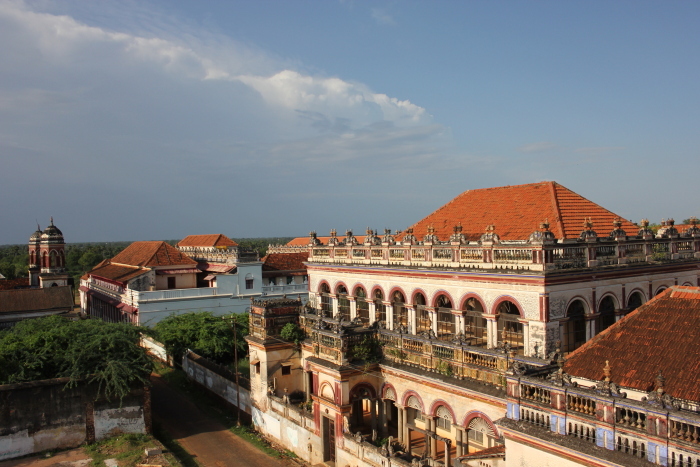 There’s nothing to see at the dam site besides the king’s statue and a pavilion, so we head to Karikala’s glorious capital Uraiyur (Woraiyur), presently a suburb subsumed into the city. 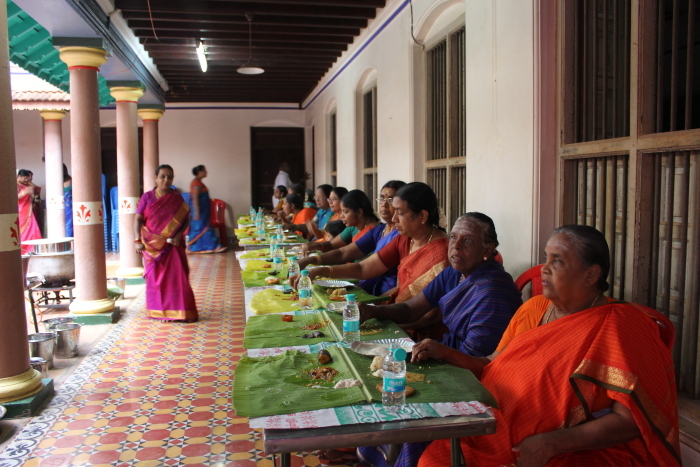 It has a stunning troika of temples – the Panchavarneshwar Shiva temple and the Vekkali Amman shrine where the Chola rulers prayed for victory before setting out to battle. 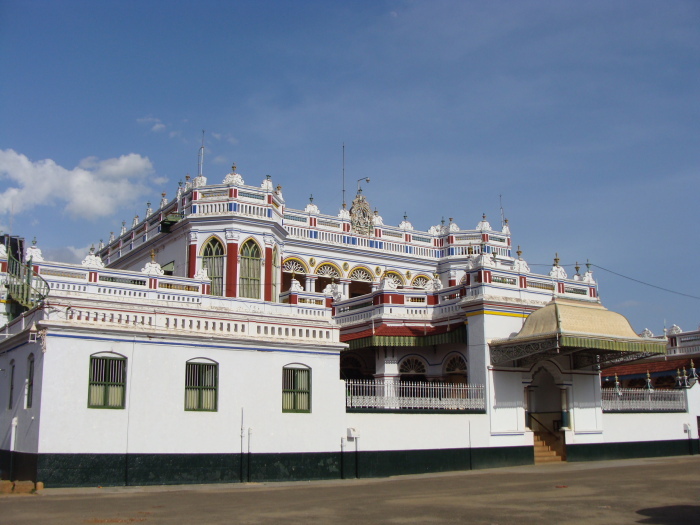 At the Kamalavalli Nachiyar Kovil, the smell of pigeon droppings hangs in the air as we enter the Nammalvar sub-shrine. Vibrant murals of Narasimha and the avatars of Vishnu line the plain rock walls. Uraiyur went into decline until Vijayalaya Chola revived the dynasty as the Imperial Cholas in 850 AD. The priest tells us of a temple built by Vijayalaya Chola that served as a prototype for the Brihadisvara temple at Thanjavur, inscribed as a Great Living Chola Temple in UNESCO’s World Heritage List. Before he could say ‘Narthamalai’, we were driving south to the cluster of nine hills that holds some of the longest edicts and oldest rock-cut cave temples in South India. At the hillock of Melamalai, we trudge past a green pool with a rock-cut shrine visible only when the water recedes. From afar, we are magically drawn by the vimana (spire) of the Vijayalayacholeswaran Temple peeping over the hillcrest. Patches of green fields rebel against the starkness of the rocky trail as the 20 min mild hike ends at the stunning Shiva temple. 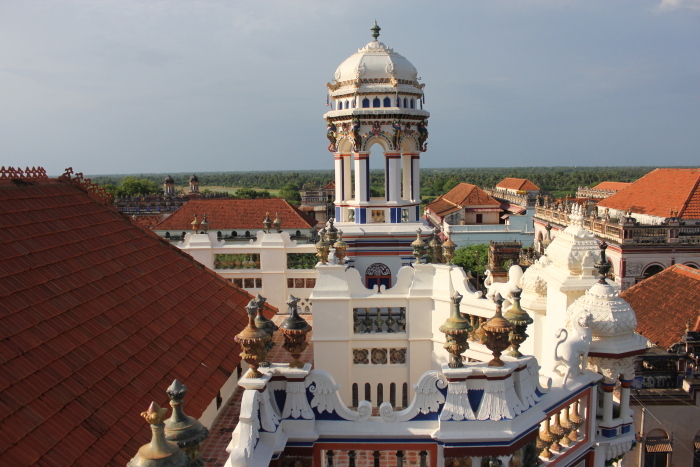 The likeness to the Big Temple at Thanjavur is unmistakable – the pyramidal spire and the stone cupola at its apex, were like genetic traces passed on from parent to child. On the opposite side snug at the base of the hill is Thirumerkoil, a cave temple on a platform decorated with elephants and mythological creatures like makaras and yalis. Lining the inner chamber’s northern wall are a dozen bas-relief sculptures of Vishnu standing on lotus pedestals. It’s a vision to behold; as if the gods had descended from the skies and were frozen in stone. In the adjacent cave shrine of Pazhiyileeswaram, a nandi and dwarapalas (gatekeepers) guard a massive linga. 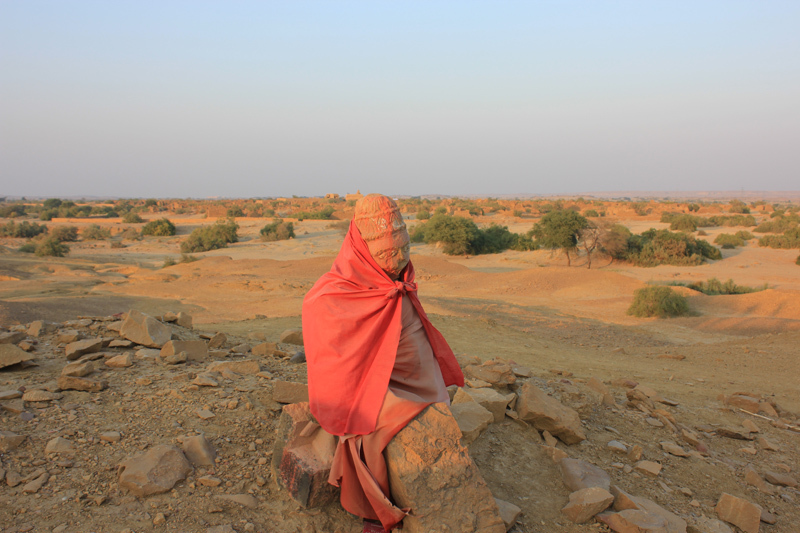 We return slowly, stopping at an Ayyanar shrine in a little grove, marked by terracotta horses that locals offer to protective village deities. Kadambarmalai is another noteworthy hillock on the far side of town. 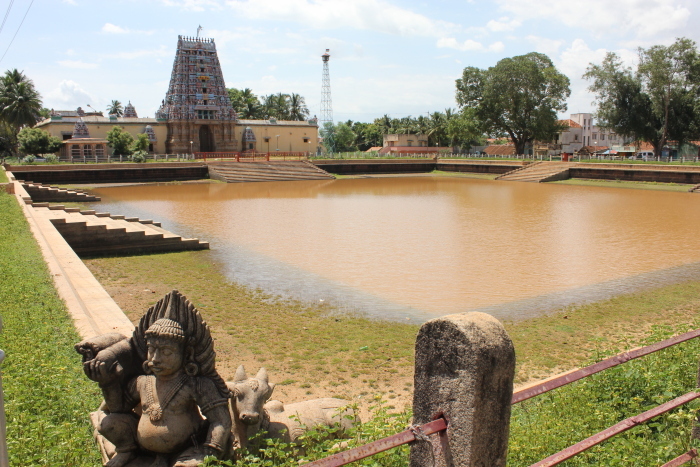 Rainwater had collected in natural cavities creating tarns or small ponds. 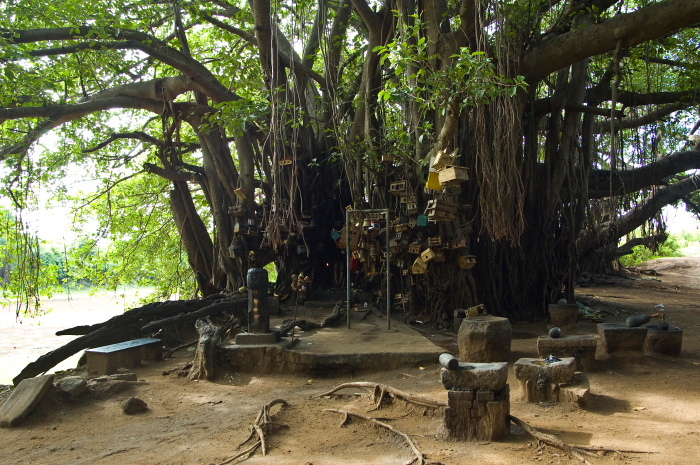 On the southwest base, facing a water-filled trench is a 1400-year-old temple hewn into the hillock. Two sets of inscriptions of Rajaraja I and Rajendra II are etched on the hillside, comparable to Ashokan Rock Edicts. 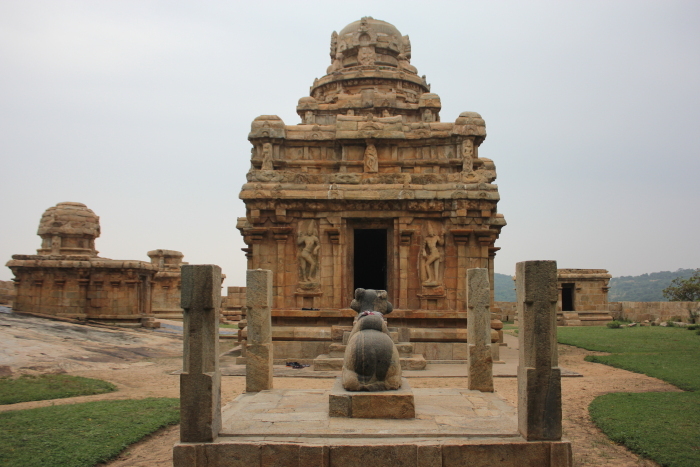 We continue to Sittanavasal, a 2nd century AD rock-cut cave temple and Jain monastery. Protected by a blue grill, a few steps lead to the cave with bas-reliefs of a Jain acharya (teacher) and Parsvanath, the 23rd tirthankara sheltered by a five-hooded serpent. 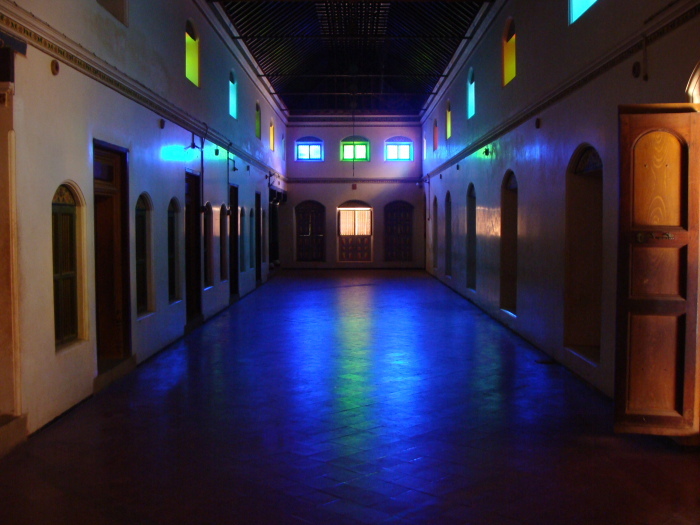 On entering the dark meditation chamber, we are amazed by its deep, resonating acoustics. Despite the flashlight, we can barely discern the detail of mural art in mineral colours– a lotus tank with fish, geese and elephants swimming, a man in a loincloth plucking flowers on the ceiling and the images of a dancing girl, a king and queen on the pillars. 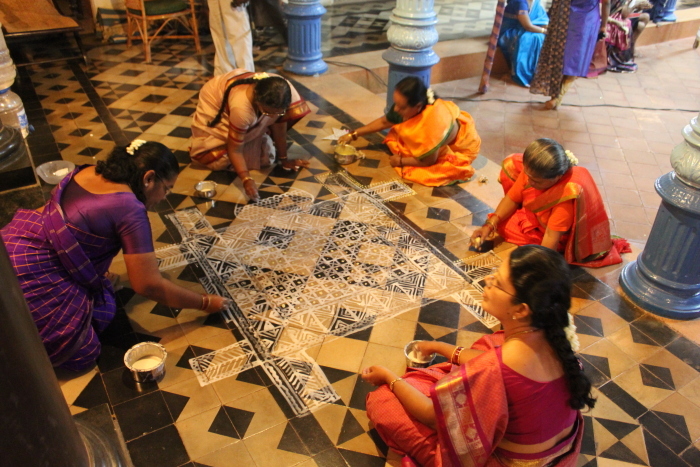 Sittanavasal is a fine representation of the early painting traditions of South India. On our way out, an ASI (Archaeological Survey of India) board marked Eladipattam catches our eye. A hundred steps cut into the western side, lead to the hilltop. We follow the railing as it descends east to a natural cavern where 17 rock beds are carved into the floor, each smoothened over time. A raised headrest serves as a stone pillow. Centuries ago Jain ascetics performed penance at this rock shelter overlooking the plains below, as mentioned in Tamil Brahmi inscriptions dating back to 2nd century BC. Now, stray couples and friends come to seek a quiet moment in these hills where dragonflies and butterflies flit in the afternoon sun. Uraiyur is 7km from town to the north. Take NH-210 (Ramanad Road) towards Pudukkottai, cross Keeranur and after Ammachattiram, turn right for Narthamalai, 37km south of Trichy. Continue via Keelakkurichi to Sittanavasal, 10km away. 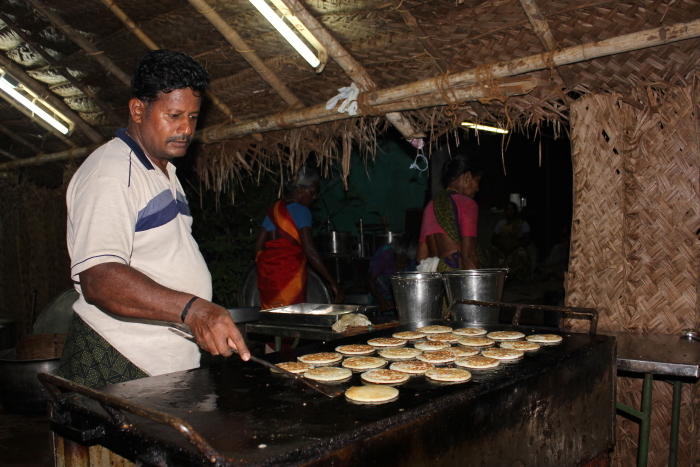 Head to Nachandupatti for Malayakovil and visit Pudukkottai en route to Trichy. The 90-room centrally located hotel recently underwent a swank makeover. 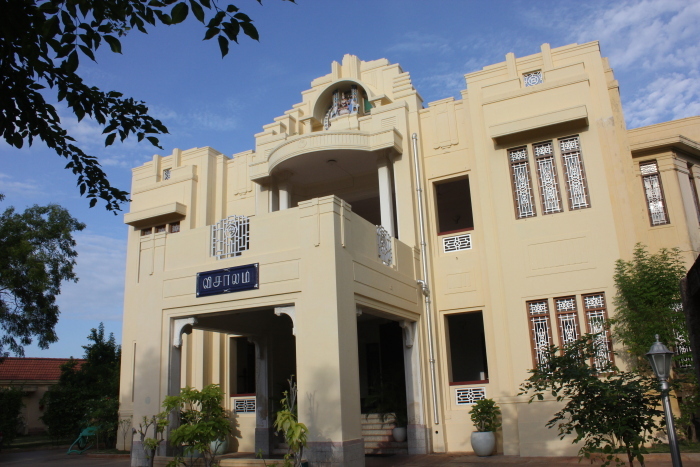 Good pool, excellent South Indian food and helpful staff who can arrange local tours. 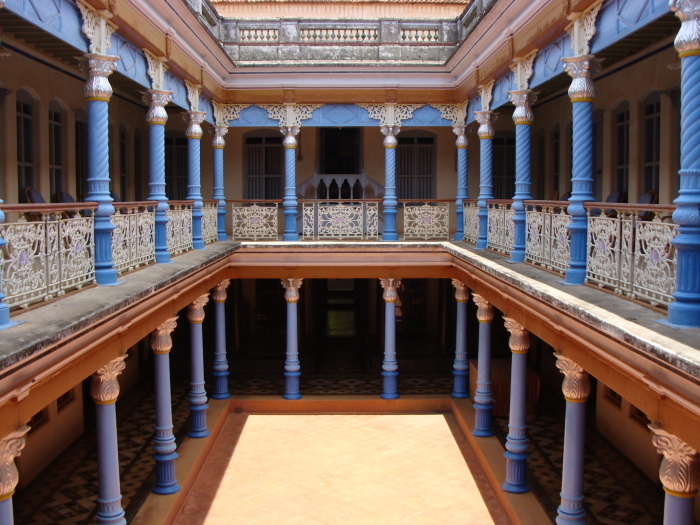 Just off Tirumayam Fort, the century-old heritage home is Chettinad’s most opulent hotel. 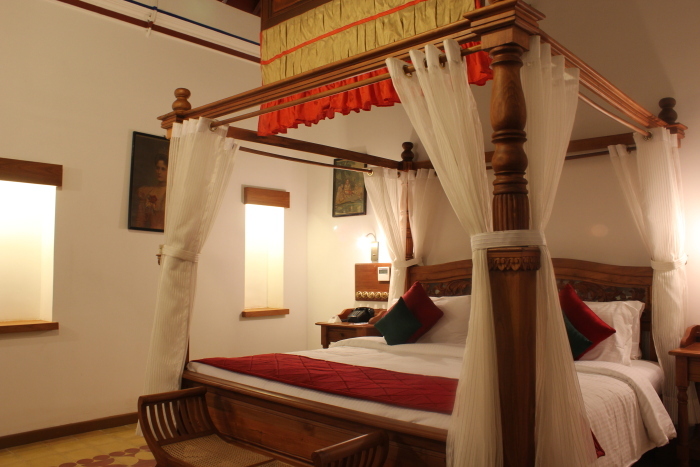 Vintage hand-operated pankhas (fans) above four-posters with carved wooden posts, rich drapes, gleaming pillars and Athangudi tiled floor spell luxury. Relish Chettinad delicacies in an interactive kitchen. Authors: Anurag Mallick & Priya Ganapathy. This article appeared in the May 2015 issue of Tiger Tales, the in-flight magazine of Tiger Air.